Today is World Prematurity Day, a day meant to raise awareness about premature birth and infant death. The statistics are staggering; 15 million babies are born premature every year and one baby dies every thirty seconds from being born too soon. Every thirty seconds. By the time we get our Starbucks, something like 6 babies have died. I am not okay with that, and quite frankly, no one should be. The major cause of preemie death is lack of access to pre and post natal care. Even in North America, many women go without a visit to a doctor until it’s too late. America has infant mortality rates similar to some third world countries. I am not okay with that, and no one should be. The best way for us to raise awareness of prematurity is to talk about it. There are some amazing stories like ours that should not just be shared but screamed from the rooftop. We make so many assumptions based on where we live that prematurity is no big deal, except we were thisclose to being a statistic, of only bringing home one baby, of losing Ella. So many of our mono mono and Sunnybrook families have experienced loss. I am not okay with that, and no one should be. Research is being done every day and maybe one day they’ll be able to save a baby born at 20 weeks. Maybe one day they’ll be able to prevent the majority of premature births and its complications. But nothing will happen if we don’t talk about it. So, today, and every day, let’s wear our purple and waive our preemie flag and share our pictures and stories so that one day prematurity will be rare and more babies will get to go home with their families and see rainbows. 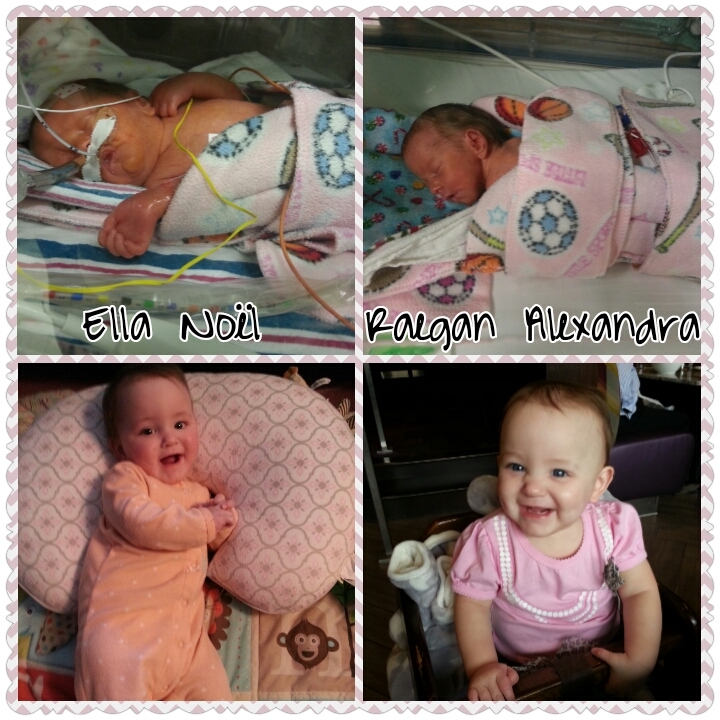 This entry was posted in Baby love, Hospital life, Life in an incubator, Mamahood, The beginning and tagged babies, identical, momo, mono mono, NICU, preemies, premature, twins. Bookmark the permalink.